IT’S EASY TO LOVE WHAT YOU DO. This sprawling ranch home has two street-side entrances: the main entrance and another less formal entry into the mudroom. The goal was to highlight the main entrance and show clearly, this is the entryway. 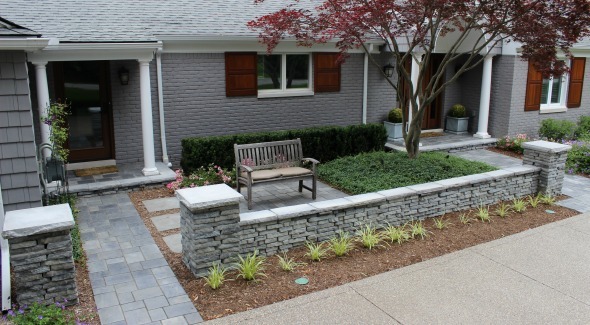 The first step was the addition of the stacked stone wall which suggests a more formal presence. Additionally, two paths were added, with the main entrance walkway wider than the secondary path leading to the mudroom. The design successfully highlights the main entrance with pillars and stately containers leading the eye to the main formal entry. The secondary entrance has been transformed with a cozy sitting area. The back part of the property did not meet the needs of our clients. 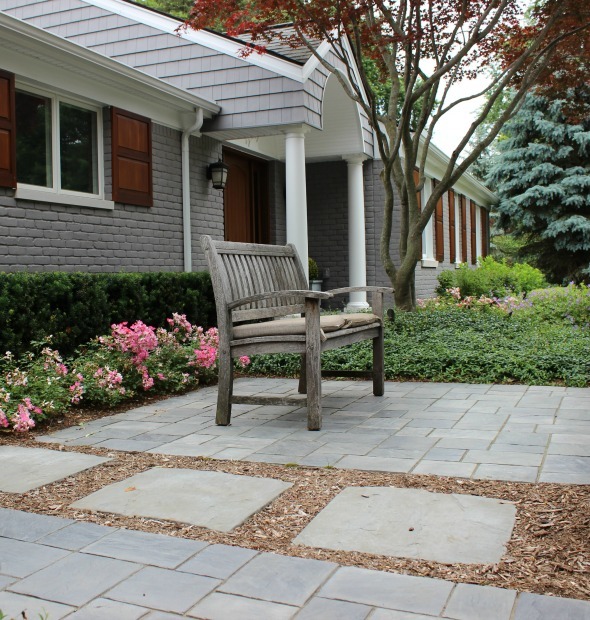 The existing hardscape was a mass of brick paths leading to infrequently used doors. 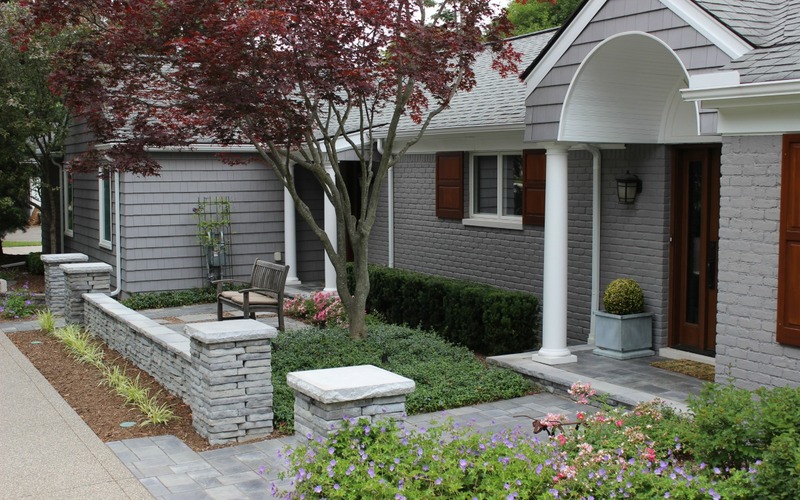 Neither the hardscape nor the overgrown landscape suited our clients’ desire for clean lines and simplicity. 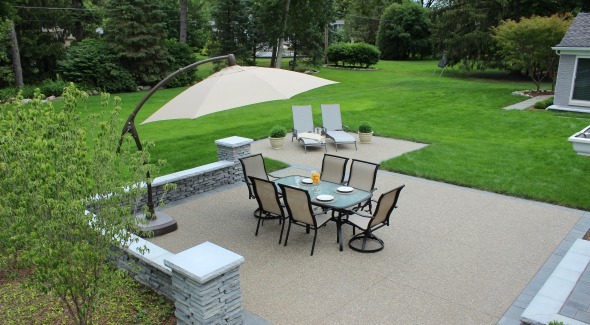 All this was replaced with a lounging area and a larger dining area to accommodate their guests.